Home » Plyometric Vs. Resistance Training: Which Is Best for Short-Term Results? Plyometric Vs. Resistance Training: Which Is Best for Short-Term Results? To jump, or not to jump, that is the question. If you’re crunched on time for work outs on a daily basis and need to either squat more, or jump higher, then this new research may be able to help guide your goals. In a recent study published in the Journal of Strength & Conditioning, researchers compared how a short-term (8-week) training program with either plyometric or strength based workouts influenced lower body musculature (1). The goal of this study was to compare how plyometric training differed from resistance training when the goal was lower body musculature and performance. Researchers note that lower body performance is the summation of both slow and fast musculature contractions (anaerobic & aerobic), so they wanted to see if either programs influenced one of these characteristics more than the other based on their prescribed 8-week timeline. For this study, researchers recruited 30 males and split them into three groups: Plyometric training, resistance training, and a control group. Each group partook in two weekly workouts catered towards the group they were split into. Each week, the groups came into the gym to partake in either a full plyometric workout involving multiple skipping and jumping variations, or a resistance focused workout that involved movements like the squat, leg press, and lunges. The groups had to allow 48-hours of recovery in-between sessions, but not let 72-hours pass before finishing their second workout. Two assessments were performed over a two day period before and after the 8-week training period. Researchers had each group perform five tests that included a: 20-m sprint, 505 agility test, vertical jump, broad jump, and 1-RM back squat. Also, researchers records subjects body mass and weight before the first day’s assessments. Subjects were instructed to refrain from exercise for 24-hours before the assessments and from caffeine for 4-hours prior (this was cool to see because caffeine could alter explosive training). 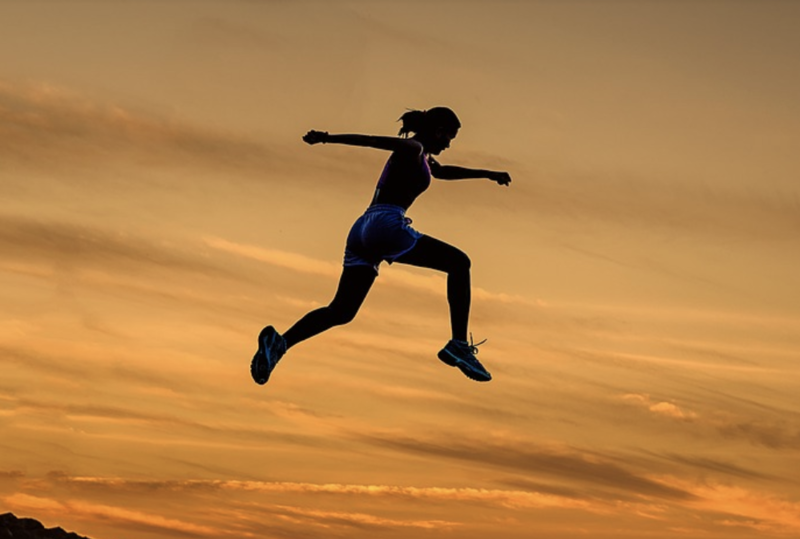 Researchers found that plyometric training influenced anaerobic training adaptations slightly better than the resistance training group, but both groups did see an improvement in their pre- and post-assessments. For the vertical jump specifically, the plyometric training group saw an increase of roughly 17%, while the resistance group saw about a 6% increase, and this makes sense when you consider the specialization this movement entails, yet both groups did see an overall improvement. Conversely, the resistance training group saw a slight increase in total lower body musculature, although, the results were pretty similar suggesting that plyometric training (in a micro setting) can do an adequate, if not similar, job at improving lower body strength. For the 1-RM back squat assessment, the plyometric and resistance groups saw roughly a 14-17% increase respectively. The results of this research were pretty much inline with what most would probably guess, but at the same time there were some key practical takeaways worth noting. Both plyometric and resistance focused workouts can help improve power and 1-RM strength in untrained populations. Those with a short-term goal could benefit with using one style of training over the other. For example, if your goal is to improve your jump for basketball, then utilizing a more plyometric focused workout could be more beneficial. If you’re short on time and working towards a specific adaptation, then a hierarchy of these two could be beneficial to improve training efficiency.